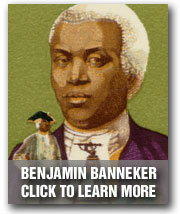 Benjamin Banneker (1731-1806) was a free African American astronomer, mathematician, surveyor, almanac author, and farmer among other things. His many great accomplishments inspired Derrick Holmes to found a watch and clock company to help spread awareness and educate people about the legacy of Benjamin Banneker. 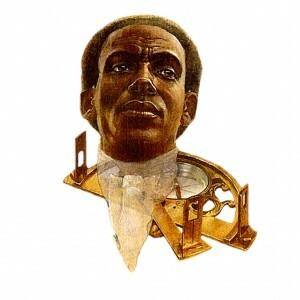 While his endeavors covered a broad spectrum (truly a renaissance man for the ages) from writing an almanac to helping plan the layout of Washington D.C. it was his clock built of wood that provided the inspiration for Banneker Watches and Clocks and the Banneker Franklin Foundation. 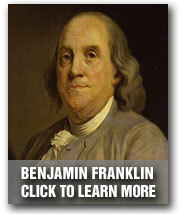 At the age of twenty-one, Benjamin Banneker met a man named Josef Levi who showed him a pocket watch. Banneker was so fascinated that Levi gave him the watch. He studied how it worked, drew a picture of it, and made mathematical calculations for the parts. He worked on building a clock for two years. In 1753, it was completed. It was made entirely of wood and he had carved the gears by hand. This was the first working clock built entirely in the United States. For more than forty years, the clock struck every hour until it was destroyed in a fire. Providing a remarkably attractive design feature and a connection to the genius of Benjamin Banneker, each Banneker watch is crafted with a wooden face. Included with each watch is a brief profile of the inventor’s life and accomplishments in order to help educate people about this legendary American.